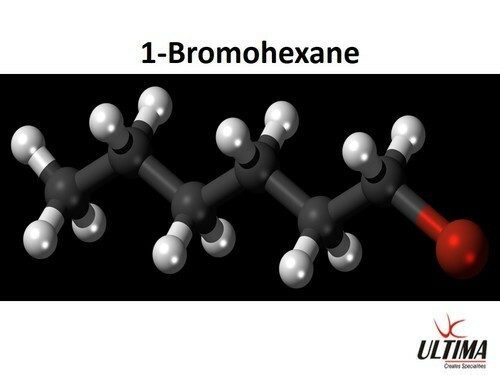 1-Bromohexane is a liquid organohalide with structural formula Br-CH2-CH2-CH2-CH2-CH2-CH3. Its refractive index is 1.4478 (20 °C, D). It is used to manufacture pharmaceuticals and organic chemicals. 1-Bromohexane is also a solvent that is frequently used in grignard reactions, that are involved with creating bromo-cyclic compounds.